Tiny homes are popping up in unconventional spots. In a Westmount alley Carillon Cameron has a new house. The 70-year-old grandmother and marriage commissioner moved into a garage suite in her daughter and son-in-law’s backyard in May. 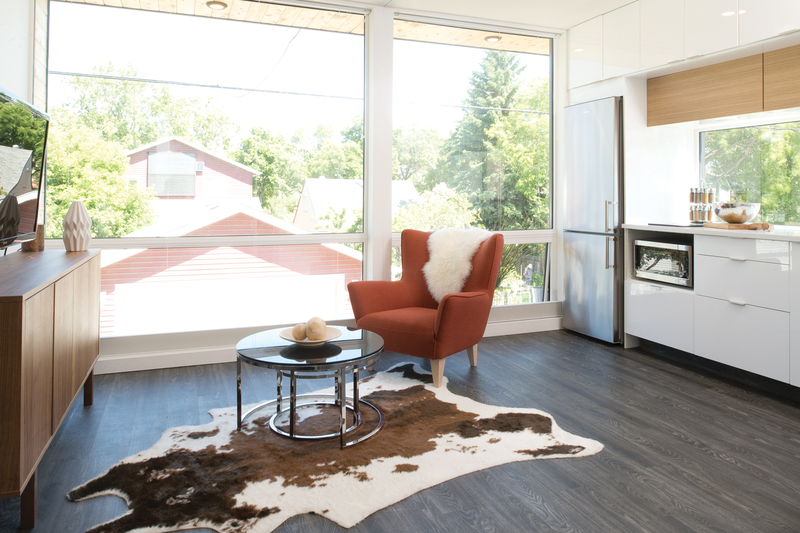 The suite includes a living room, a sleeping loft tucked over a kitchen, a bathroom plus a laundry and storage area, all in 520 square feet attached to a double-car garage. 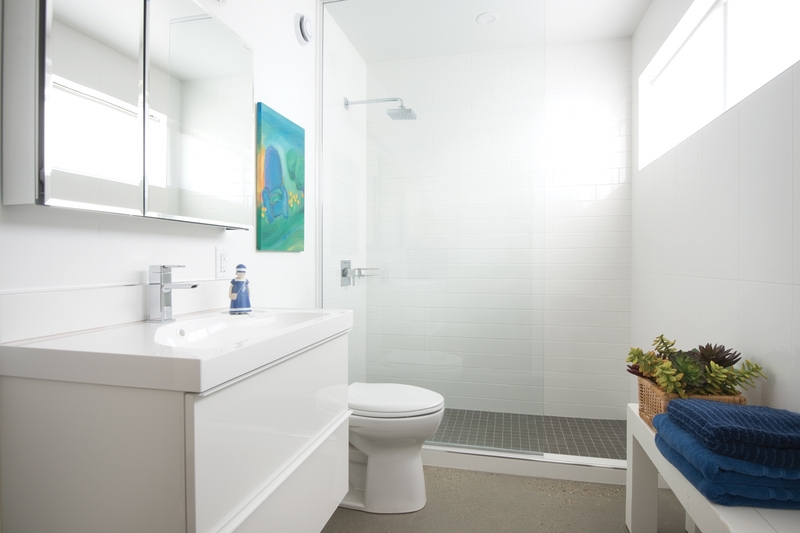 Designed by Battle Lake Design Group, the alley abode has vaulted ceilings and lots of windows to feel cozy yet spacious. 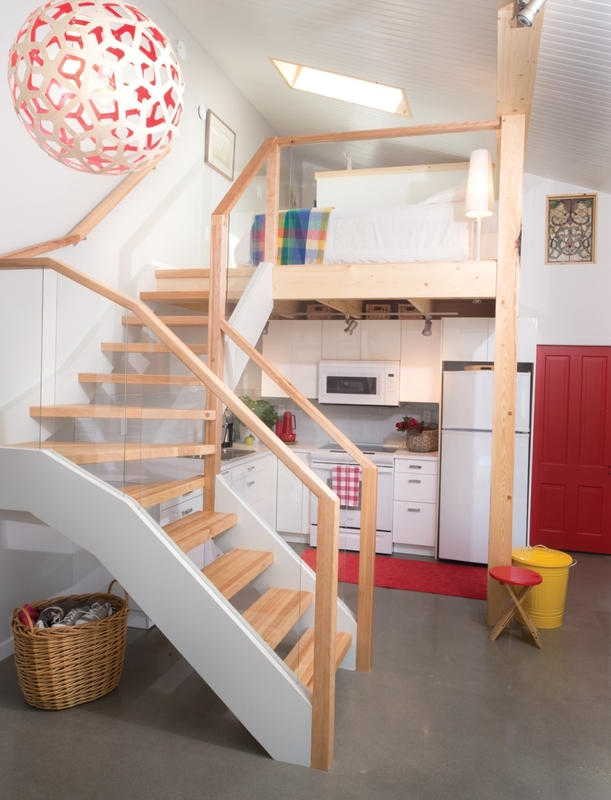 There’s also a nook that can be adapted to different uses; if climbing the stairs to the loft becomes problematic, the nook could fit a bed. “I’m getting up in age, so living close by – but not right on top of – my family is very comforting to me,” Cameron says. Cameron joins a growing number of Edmontonians moving out back into garage and garden suites. Alleys across Edmonton are being reimagined and tranformed into places to live, to play and to gather – not just dark, dank spots for housing trash. Laneway dwellers like Cameron are part of the shakeup, alongside local entrepreneurs, urban planners and citizens. It’s a big shift. After all, it was just a few years ago, in 2014, that Edmonton police detective Jerrid Maze proclaimed “alleys aren’t meant for people to walk down,” but for vehicles and people to put out their garbage. The comment followed three assaults on young women in alleys in Terwillegar Towne. Perceptions around alleys are starting to change, as the spaces are increasingly being used differently. In downtown Edmonton last summer, Chris vander Hoek and Stephanie Chai were blown away when about 600 people wandered through their Secret Alley Gallery. The one-day pop-up art show and auction took place in a narrow downtown laneway off 104th Street, between the Fox One condo tower and a parkade. Over dinner with two friends, the quartet came up with the idea of an art gallery. They sought permission from the condo board, rallied support from local arts organizations and used paint and lights to transform the lane for the one-day event. They received more than 200 responses to their call for art submissions, and had room to display 21 pieces. South of the river, in Ritchie, partway down an otherwise average alley a distinctive black, corrugated steel suite sits atop a grey garage. The 320 square-foot home, made of two shipping containers, in Daniel Engelman’s backyard, is rented out. Engelman found a solution in shipping containers. He partnered with Devon Siebenga, who has a background in shipping container modification for offices and the oil industry, to form Honomobo in March 2016. The company sells six models of shipping container homes, starting at $52,995 for a 208 square-foot “mini studio” or $119,745 for a 352 square-foot “living studio.” Homes are ready for delivery in just 10 weeks. 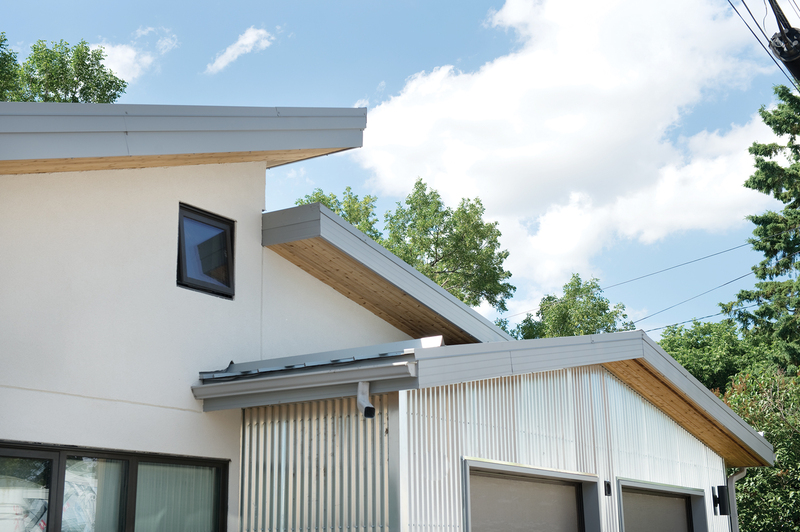 “We’re taking good design principles and crossing that into modular houses,” Engelman says. That approach has attracted interest far beyond Edmonton, with over 30 homes being shipped to British Columbia, over 10 orders in California, and an eight-unit apartment building being shipped to Seattle in the fall. A temporary show home installed in Churchill Square last June saw close to 8,000 people pass through. As rules have relaxed, the city has seen a jump in the number of approved garage and garden suite development permits: 16 in 2014, 23 in 2015 and 55 in 2016. “We’ve done our best to remove as many barriers as possible, to make it easier for people to build, to create additional housing options,” says Anne Stevenson, a senior planner with the City of Edmonton’s zoning and bylaw team. While laneway suites are popping up around the city, Stevenson says it remains a balancing act between weighing the benefits the city sees in this type of housing with concerns heard from some residents and communities. Opposition to increased density has been fierce in some neighbourhoods, with residents going so far as to propose restrictive covenants, in which participating lots enter a legal agreement to prevent changes like lot splitting and so-called “skinny” houses. Laneways have not yet attracted the same resistance – perhaps simply because they are not as widespread. Stevenson also points to their often unobtrusive nature; the units are typically smaller, and located in the back, where they are less visible. 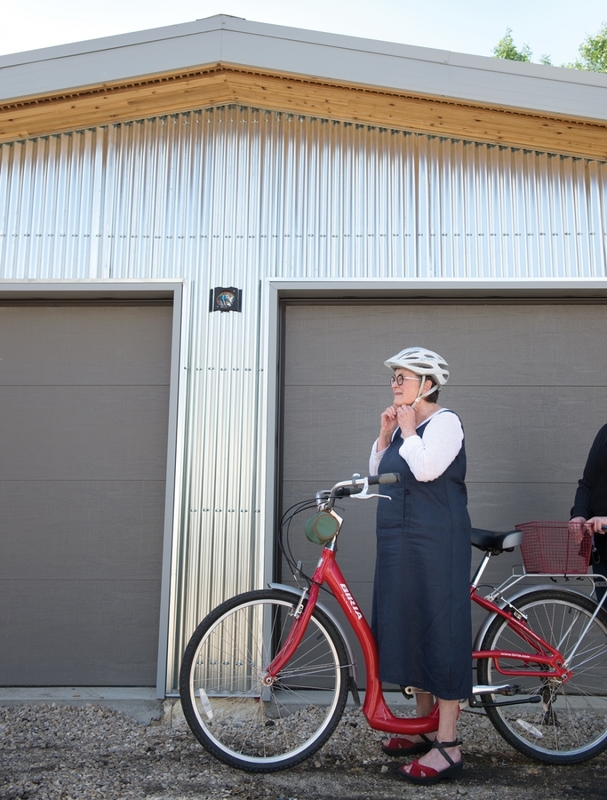 “An advantage with garage and garden suites is they don’t disrupt the neighbourhood in the same way as some other developments are perceived to,” Stevenson says. In Stevenson’s view, garage and garden suites are “an awesome opportunity” to create more housing choices, be it for seniors downsizing and wanting to age in place, a young person living away from home for the first time and seeking a smaller, affordable suite to rent, or a homeowner looking to add rental income to their property without having to share their living space. “It really helps with housing affordability overall,” she adds. In an industrial area on the western edge of Edmonton, shipping containers are stacked five high. They tower over a nearby show suite, made by novhus. 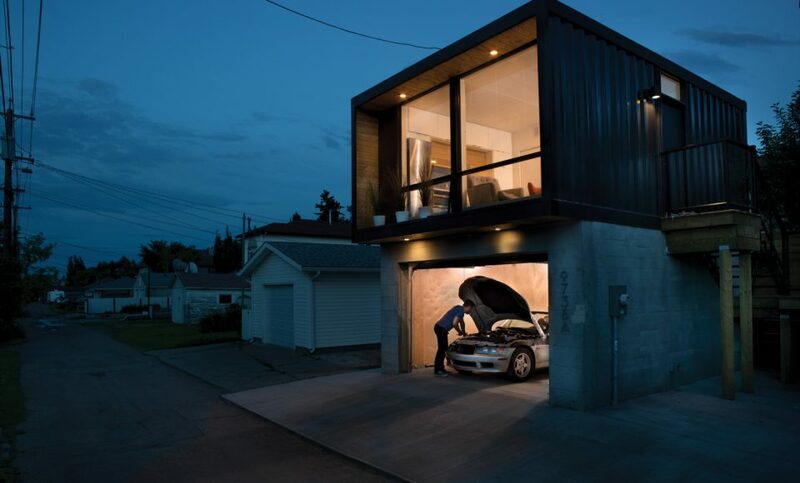 The Edmonton start-up is building eco-friendly homes using shipping containers as the internal structure, including smaller laneway models. 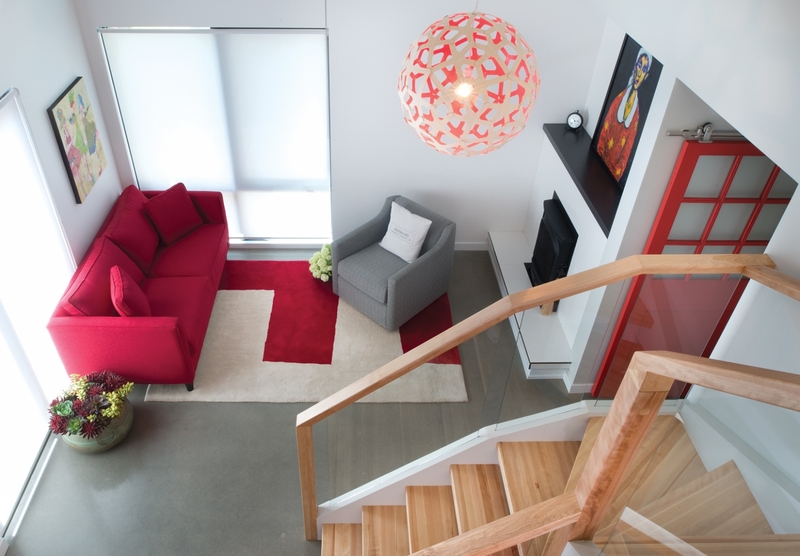 Once inside the 480 square-foot Tau show suite, the shipping containers’ roots are indiscernible. The business has been operating since late 2015, but has been “incubating” for years, says founder Aurelien Balondona. A mechanical engineer, Balondona worked around the world with shipping containers, designing camps and modular processing equipment for international oil and gas companies and palm-oil refineries. He saw a huge opportunity to bring affordable, beautiful, technologically advanced and environmentally friendly shipping container homes to the Canadian market. “People often can’t afford green houses and we’re aiming to solve that issue,” says Balondona. Laeonie Gano, a sales representative with novhus, says a portion of the business has involved educating consumers, lenders and even municipalities about this new type of house. “The initial response from some customers was ‘Uh, container homes are not my thing,'” Gano says. “Then they see it, and they’re floored.” The price of the homes is also attractive to buyers, as the Tau garden suite starts at just $89,000. The homes have been so well received that novhus will not take on new projects until 2018. In the fall, construction will begin on a sustainable, affordable four-storey midrise complex made of 104 shipping containers – the first of its kind in North America – in Beacon Heights. Back in downtown Edmonton, just down from where the Secret Alley Gallery appeared, an alley space and once underused park has been permanently transformed, officially named Michael Phair Park in May 2016. Prior to that, community members had labelled the spot by Beaver Hills Park a “lost space,” marked by garbage and graffiti. Phair and his community group, Edmonton on the Edge, started a grassroots initiative, called Alley of Light, to revitalize the alley, making it more friendly, engaging and safe. The City of Edmonton is also exploring alternative uses for alleys, beyond as a place for new houses. “All shared and public spaces are worth looking at, in terms of whether or not and how they might be activated and better used,” says Hani Quan, a senior planner with CITYLab, a small unit in the city’s planning branch. CITYLab was involved in a temporary transformation of an alley in July 2015, on the north side of Whyte Avenue, between 104th Street and 105th Street. The project, initiated by the Old Strathcona Business Association and the Old Strathcona Foundation, saw city council approve barring vehicles from the small alleyway. The next day, Quan and others painted the pavement with bright polka dots, and planters were added to block traffic. “It was a great, playful space,” says Quan.